The Oakland Raiders lost to the Seattle Seahawks on Sunday and are now halfway to becoming the second team in NFL history to go 0-16. 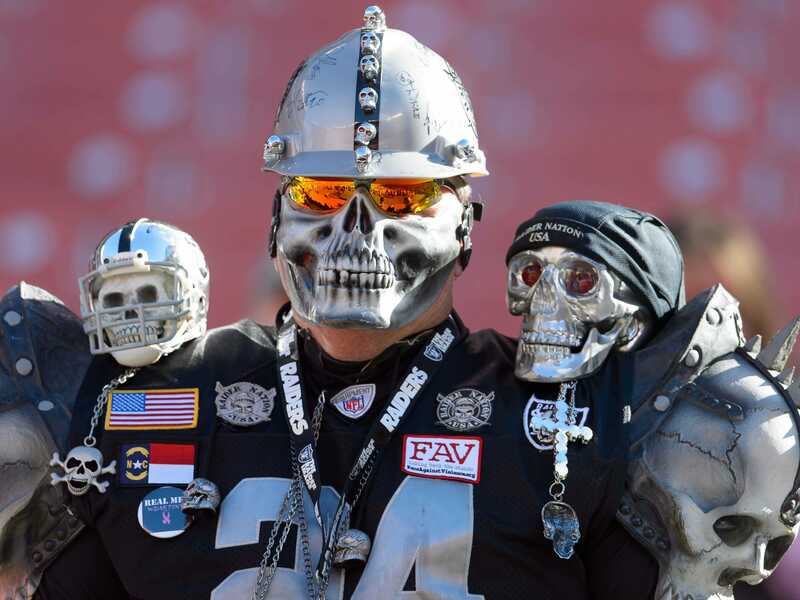 While there is still a long way to go and the famous slogan in the NFL is “on any given Sunday, any team in the NFL can beat any other team,” there is good reason to be pessimistic about the Raiders’ chances of winning a game and it has a lot to do with good old fashioned bad luck. Half of the games are against two of the three best teams in the NFL according to SRS. Only one of those games is against a team with a losing record and that one is on the road in St. Louis. Unfortunately for the Raiders, this is just terrible luck. According to SRS there are four teams that have played worse, including the Jets, Rams, Jaguars, and Bucs. A big part of the bad luck was that the NFL schedule worked against the Raiders this season. In addition to having three Super Bowl contenders in their own division, the Raiders also had to schedule teams in the NFC West, a division considered by many to be the best in the NFL, as well as the AFC East, which includes the New England Patriots and the surprising Buffalo Bills and Miami Dolphins. The Raiders are not a good football team. Mix that with a horrific schedule and that’s a formula for a historically bad season and the Raiders may soon join the 2008 Lions as the only 0-16 teams in NFL history.